Balanced meals will help you maintain a healthy body weight which in return will support fewer joint and muscle pains. 1. Akbaraly, T.N., et al., Alternative Healthy Eating Index and mortality over 18 y of follow-up: results from the Whitehall II cohort. Am J Clin Nutr, 2011. 94(1): p. 247-53. 2. Belin, R.J., et al., Diet quality and the risk of cardiovascular disease: the Women’s Health Initiative (WHI). Am J Clin Nutr, 2011. 94(1): p. 49-57. 3. McCullough, M.L., et al., Diet quality and major chronic disease risk in men and women: moving toward improved dietary guidance. Am J Clin Nutr, 2002. 76(6): p. 1261-71. 4. 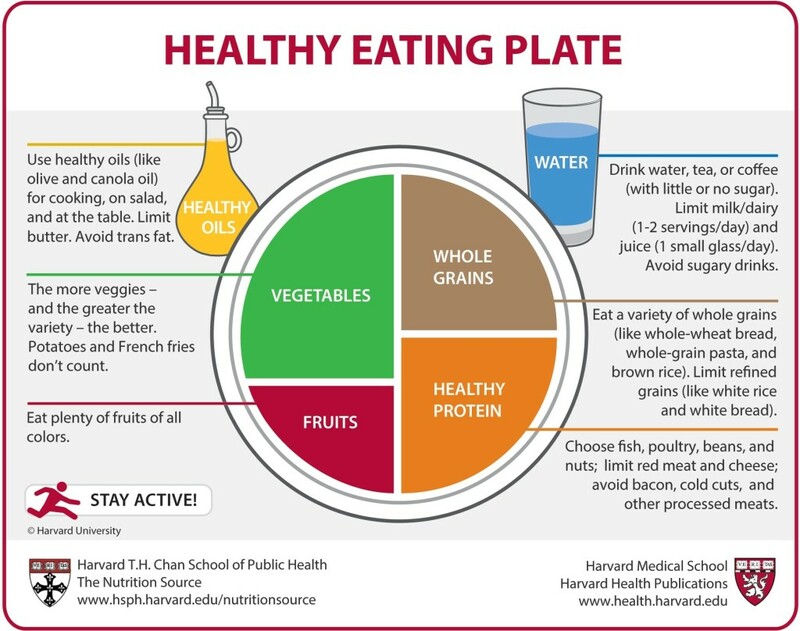 U.S. Department of Agriculture and Center for Nutrition Policy and Promotion, The Healthy Eating Index (PDF), 1995. 5. World Cancer Research Fund and American Institute for Cancer Research, Continuous Update Project Report Summary. Food, Nutrition, Physical Activity, and the Prevention of Colorectal Cancer, 2011. 6. Wang DD, Leung CW, Li Y, Ding EL, Chiuve SE, Hu FB5, Willett WC. Trends in dietary quality among adults in the United States, 1999 through 2010. JAMA Intern Med. 2014. 174(10):1587-95.